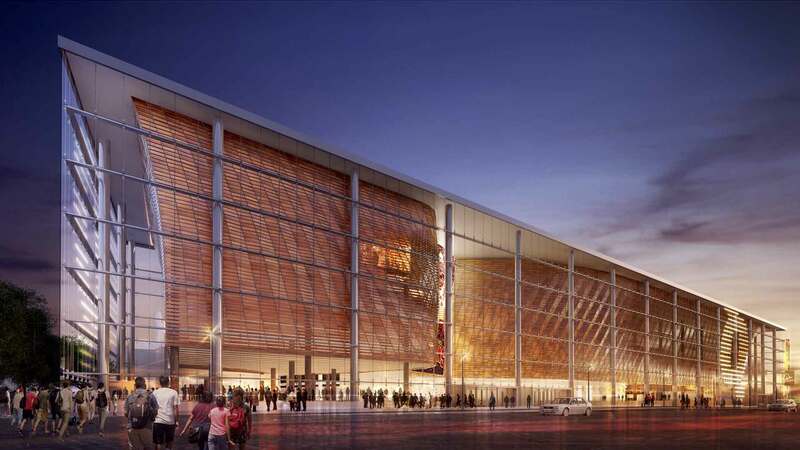 AECOM, already busy working with Snøhetta on a basketball arena in San Francisco, has been chosen to design the new downtown basketball facility for the Sacramento Kings. 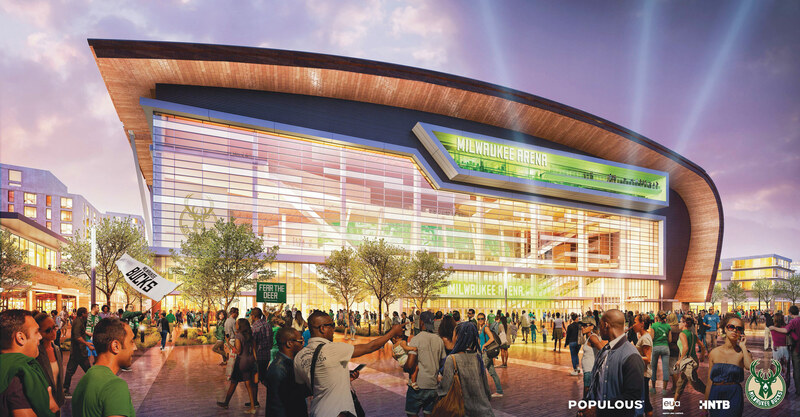 Renderings for the project, set to open by 2016, will not be released until the fall, but earlier images, released when the ownership team was still competing for the site, show a pillow-shaped, glass ringed structure with a steep seating bowl and, rare for such a facility, natural light. Outside, the designers hope to create "a grand civic space that we hope will serve as our region's 'community campfire,'" said team spokesperson Adam Keigwin. Turner will be the project's builder. 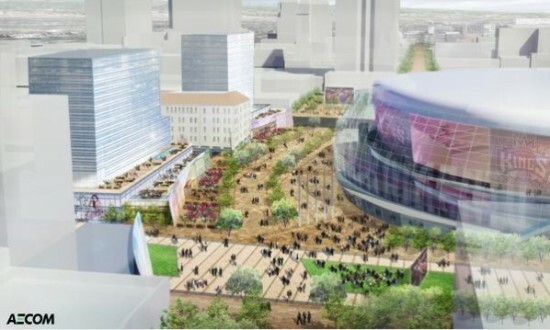 The $448 million budget will be funded by a partnership between the Kings and the city of Sacramento. AECOM also worked on the London 2012 Olympic Park and is designing the 2016 Rio Olympic Park. "We now have a world-class team in place," said Kings president Chris Granger in a statement. Hopefully their basketball team, which went 28-54 last season, will reach that level sometime soon as well.